#teardrops: (Join its community on Discord & Telegram). #untalented: (Join its community on Discord & Telegram). To Ulog under of these communities and ulog-subtags, kindly click on any of the ulog-subtags above, to read the header-style-guide. 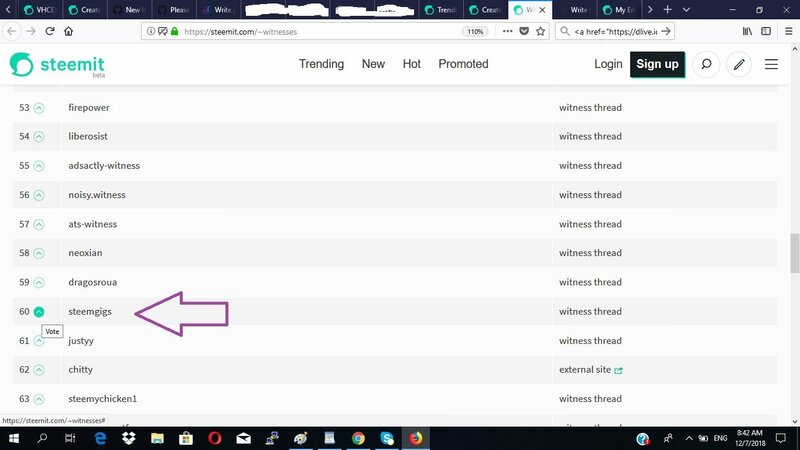 In general, always use the more popular #ulog as first hashtag and the ulog-subtag as second hashtag, then add other related hashtags, like location etc. You can navigate https://ulogs.org to look for the right editor to use, by clicking on the Pen Icon at the top right area of our website. Always expand and read every "style-guide". Every ulogger can start out a ulog-subtag and bear forth a ulog-based community. 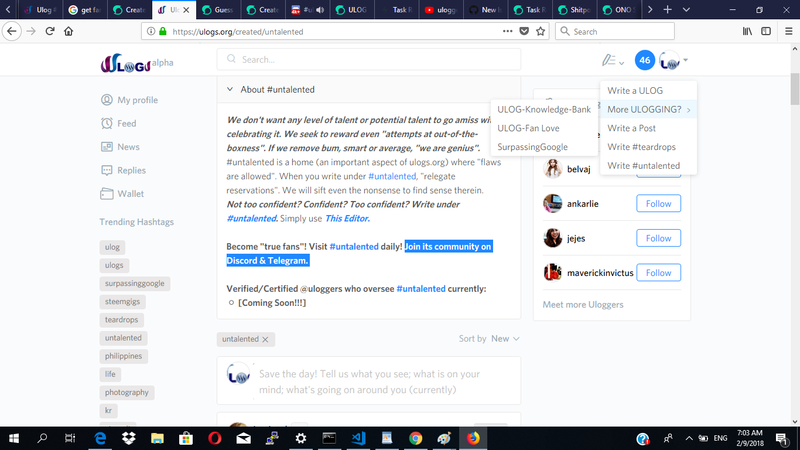 When this communities grow popular, we will integrate these into ulogs.org and have certified/verified uloggers oversee it as we support these communities, with some curation support as "true fans".